Iran added over 14,000 nuclear centrifuges since Barack Obama took office. In November Barack Obama announced a nuclear deal with Iran. Today the Iranian regime announced they were developing new centrifuges for their nuclear program. Iran’s nuclear chief said Friday that the country is building a new generation of centrifuges for uranium enrichment, but that they need further tests before they can become operational. Under a landmark nuclear deal reached last month between Iran and world powers, Iran promised not to bring new centrifuges into operation for six months. But the deal does not stop it from developing centrifuges. In comments reported by state TV late Thursday, nuclear chief Ali Akbar Salehi did not elaborate on how long the building and testing would take. He also said Iran has a total of 19,000 centrifuges, though he did not say how many were operational. 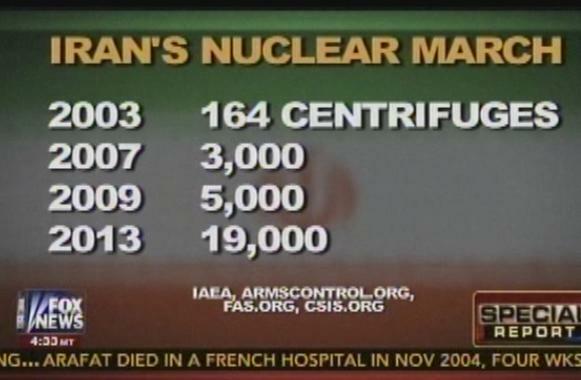 In August, Iran said it had 18,000 centrifuges. When you’re foolish enough to trust the Iranian regime this is what you get.